Not only does American poker pro Chance Kornuth have one of the best names in poker, but he has an equally impressive résumé to match. Not only does American poker pro Chance Kornuth have one of the best names in poker, but he has an equally impressive résumé to match. Although he’d been playing seriously online for a couple of years from 2006, it was in 2010 that he gained the respect of the poker community as a whole when he took down the $5,000 Pot Limit Omaha event at the WSOP. To claim the $508,090 prize for first, he beat a talented field that included mixed-game specialist Jason Mercier, prodigal female talent Annette Obrestad and aggressive-playing German Benny Spindler. Since then, Kornuth has gone on to win an EPT title and multiple WPT trophies as well. His European win came in Monte Carlo in 2016 at the €10,000 No Limit Hold’em High Roller, where he took on and conquered a quintet of German high roller regulars in EPT legend Ole Schemion, Poker Masters winner Steffen Sontheimer, Christian Christner, Fedor Holz and finally taking down Philipp Gruissem in the heads-up battle. Debatably one of the toughest fields of any poker tournament, Chance’s victory confirmed to the masses that he is one of the best to ever grace the felt. 2016 was unquestionably Kornuth’s most successful year of his career. In addition to the win at Monte Carlo, he final-tabled the $25,000 High Roller 8-Handed event at the PCA, won a major event at the Aussie Millions for $547,874, finished runner-up at the €25,000 8-Handed event in Dublin for $407,405 and even shipped a $25,000 WPT NLH High Roller event in Jacksonville before the year closed out. These highlights along with a collection of others saw the Colorado native win more than $2,200,000 in less than 12 months. On top of his $5,600,000+ in live tournament earnings, Chance has racked up another couple of million dollars playing online. Known as ‘ChanceCU’ on PokerStars and ‘Chances Cards’ on FullTilt, the American has had no less than four six-figure online cashes with SCOOP and MSOP victories as well as a Super Tuesday win. Since Chance’s list of accomplishments speak for his skill as a player, he recently decided to leverage his ability by helping others improve their poker game through his training site. 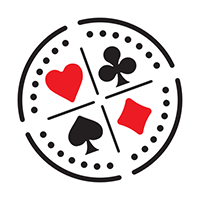 Rather than waste time targetting beginners when there is already so much training material out there for them, ChipLeaderCoaching produces in-depth content for mid-stakes MTT grinders to help them take their game to the elite, high roller level where Chance continues to win at. One of the unique parts of the site is that there is no monthly subscription payment – it operates by taking a small percentage of students’ winnings. This way, users only have to pay for the service if they win which showcases the confidence that Chance and the other coaches have in their training material. If you want to hear more about what life as a high roller is really like, Chance recently appeared on Joey Ingram’s podcast which you can check out here. The Aussie Millions is in full swing in Melbourne and Denver pro Chance Kornuth is the latest big winner, taking down the $1,150 NLH – 6-Max for A$134,850 ($107,925). Kornuth took home $161,671.84, while Team PokerStars Pro Andre 'aakkari' Akkari received just $12,640.62 for finishing 2nd.